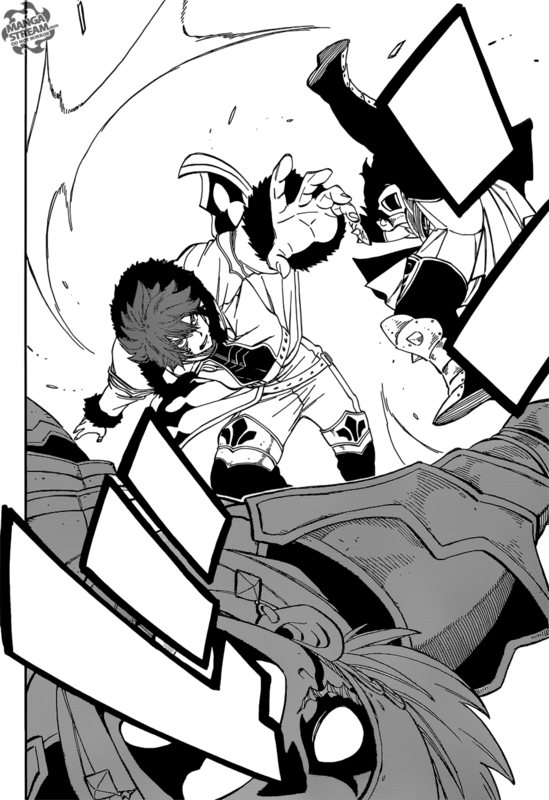 Natsu rests, as Warren updates the Fairy Tail members of the events of the battle field. He says that “Zeref’s main forces in the west,” haven’t moved. 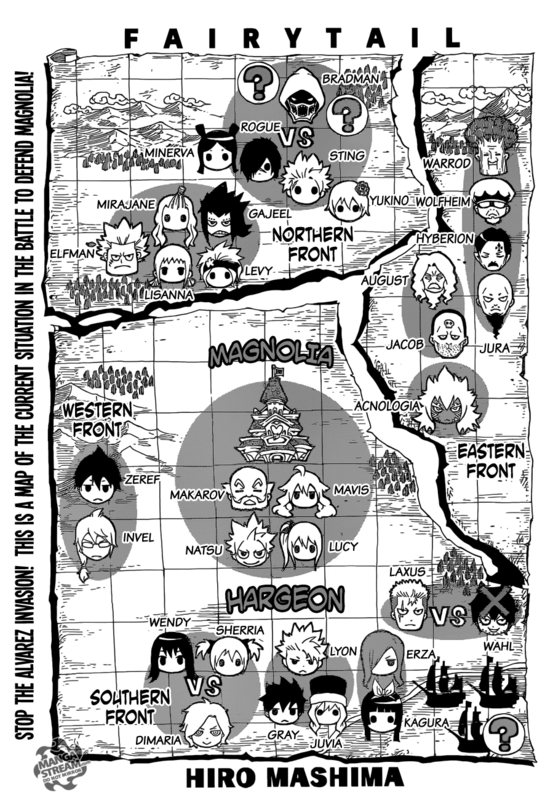 In the north they are deadlocked and the arrival of Gajeel and his squad would tip the scale in Fairy Tail’s favor. 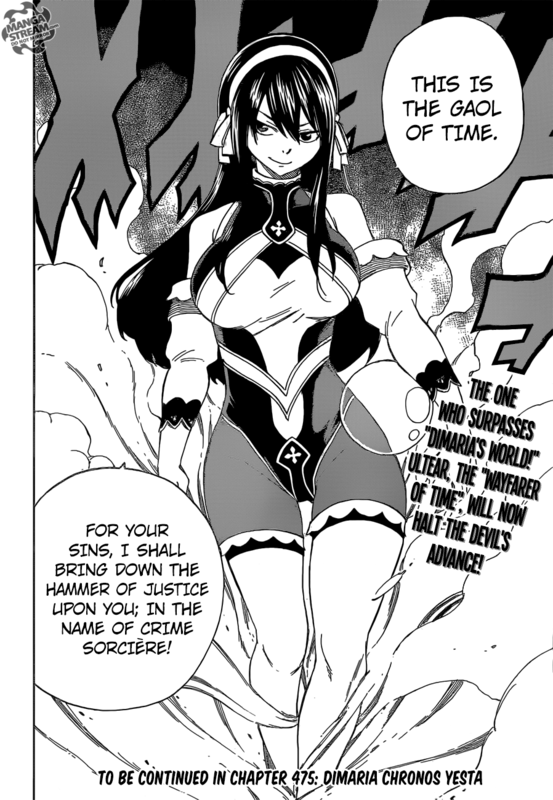 Meanwhile, the East wizards have been defeated and two of the three remaining Spriggan are heading towards Fairy Tail. 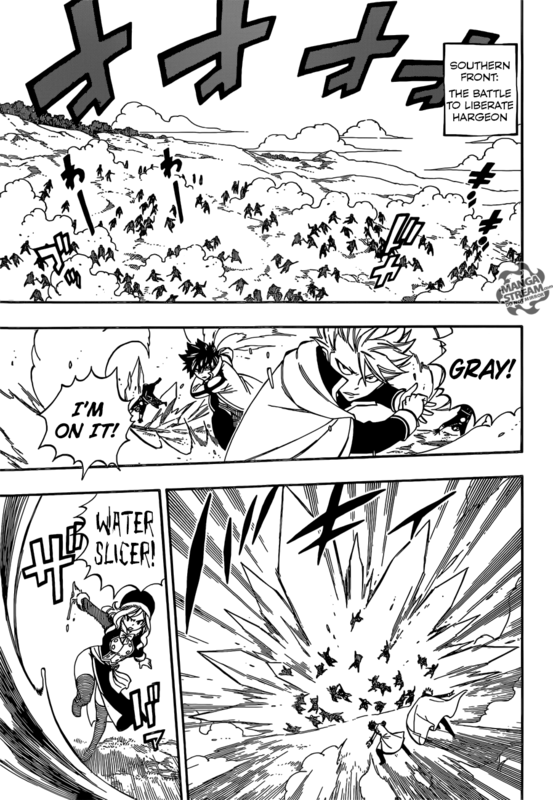 Erza’s squad in the south, has manage to defeat one of the 12 Spriggan. We are giving confirmation that Captain Jack is still alive. We quickly head to the Zou, Claw City. Kinemon apologizes and reveals his tattoo that represents the crest of the Kouzuki family. The Strawhat crew are shocked at the reaction of the Minks. However, Nekomamsuhi and Inuarashi begin to bicker. They anger Momonosuke tells them to stop and that his father would be very disappointed in them. 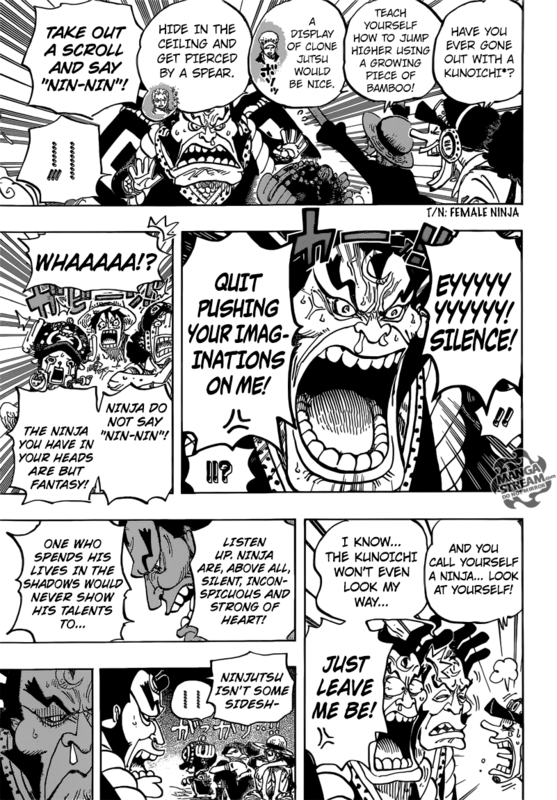 They apologize and it is revealed that Momonosuke is the son of the “Oden, the Daimyo of Kuri in Wano Country.” They also decided to have a truce, much to the surprise of everyone. 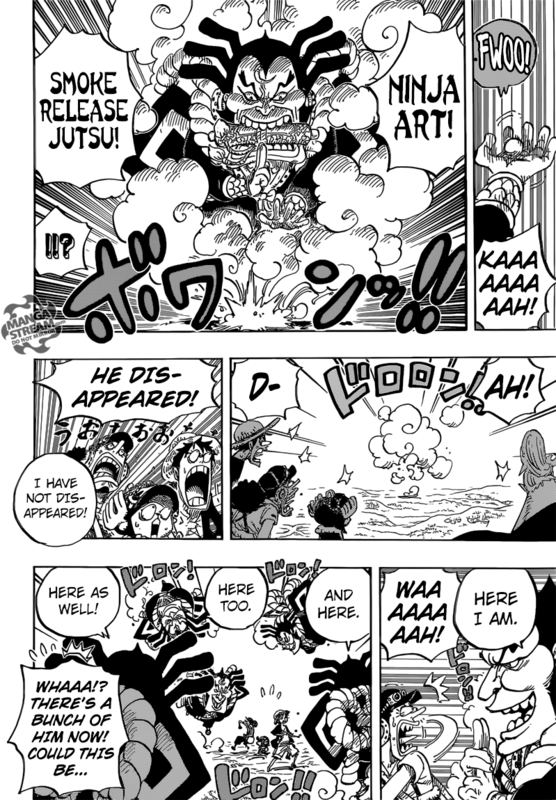 Everyone and the Strawhat’s head to meet Raizou, as Luffy and Chopper are clearly excited to meet a ninja. Raizou is larger than anticipated and is chained to a poneglyph. 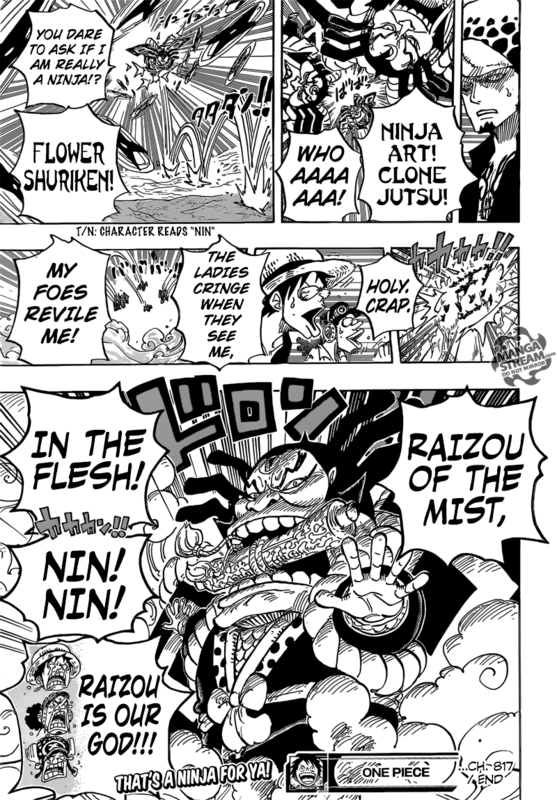 Nico Robin asks to read the poneglyph, as Luffy, Chopper, and Usopp ask Raizou if he was a ninja. 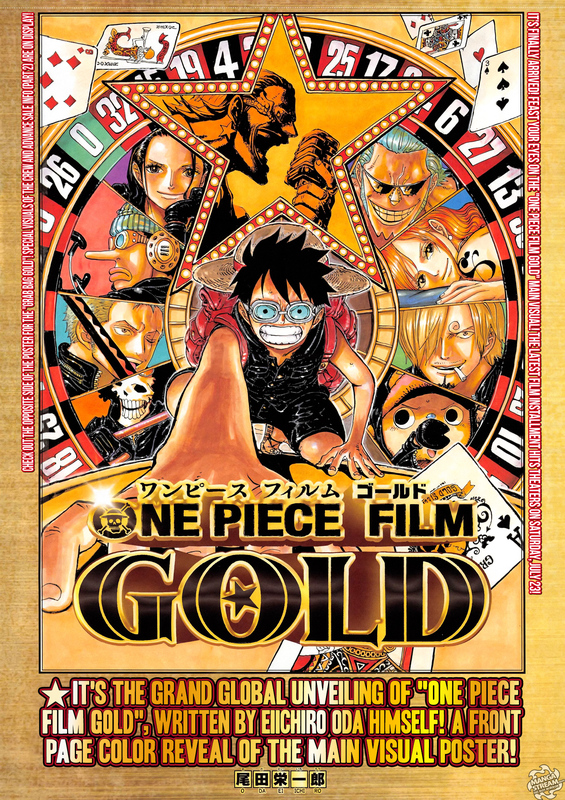 I got the impression that Oda was trolling Naruto, but that might just be me. Anyway, I loved the reaction to Raizou. The Strawhat’s were their usual silly selves. However, this chapter did have several important moments. First we get confirmation that Captain Jack is still alive. 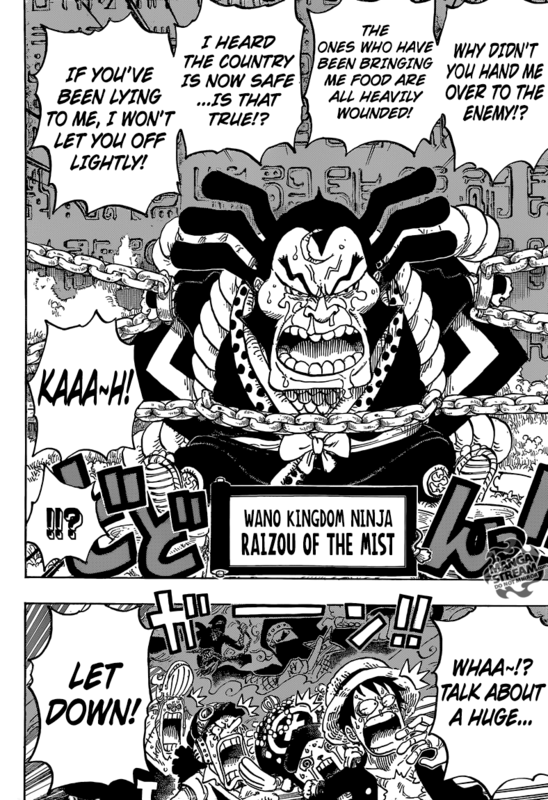 I wonder if he will return to Zou to get Raizou? Furthermore, Nico Robin has finally found another poneglyph. Who know’s what it will reveal? Askin goes into another long winded explanation into his new Vollstandig abilities. Basically, his Vollstandig, Hasshain, “can adapt to changes in an element’s properties.” Therefore, “no matter now many changes an element goes through, he would be immune to it as long as it has the same base.” Askin also sets up a “Bereich Border,” preventing Kisuke from escaping. 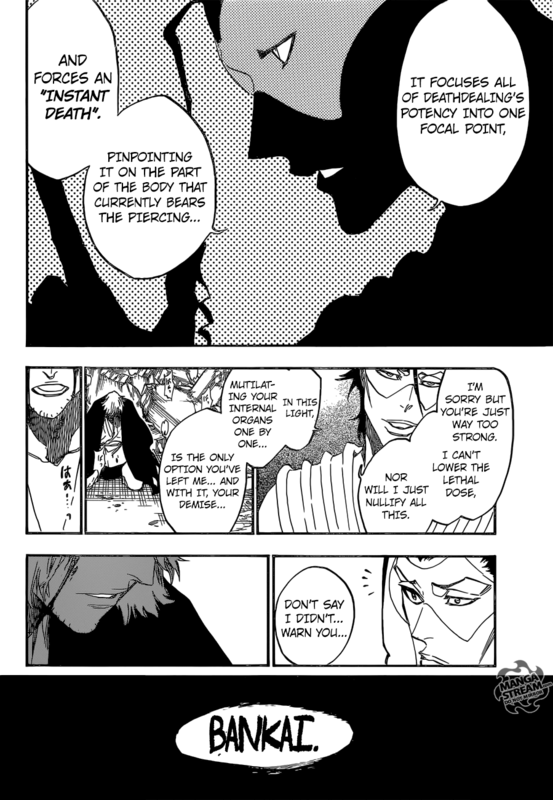 Kisuke questions Askin’s loyalty. Kisuke tells Askin that “he had no interest in seeing this new world, although Mayuri Kurotsuchi may share Askin’s vision. 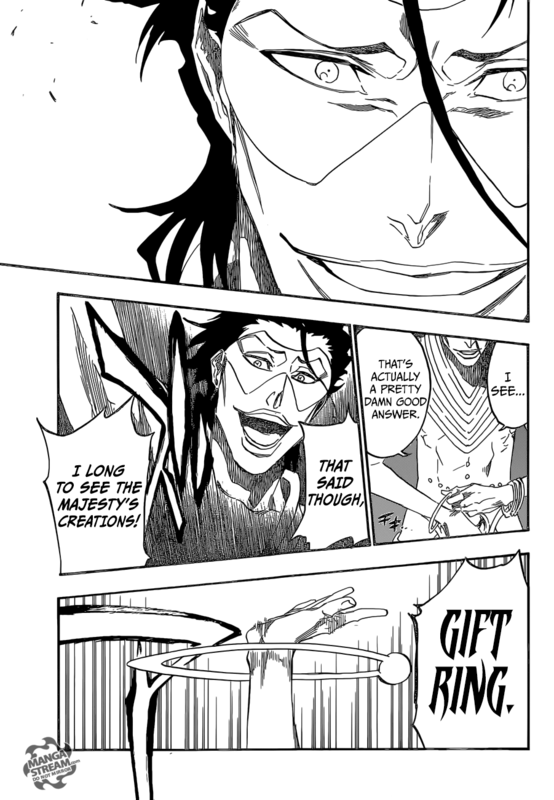 However, Kisuke notes that Mayuri would still have no interest in seeing this world, because as true scientists they would want to create new worlds themselves.” Askin likes his answer and uses Gift Ring, he throws it and it disappears. It pierces Kisuke’s eye and his eye explodes. 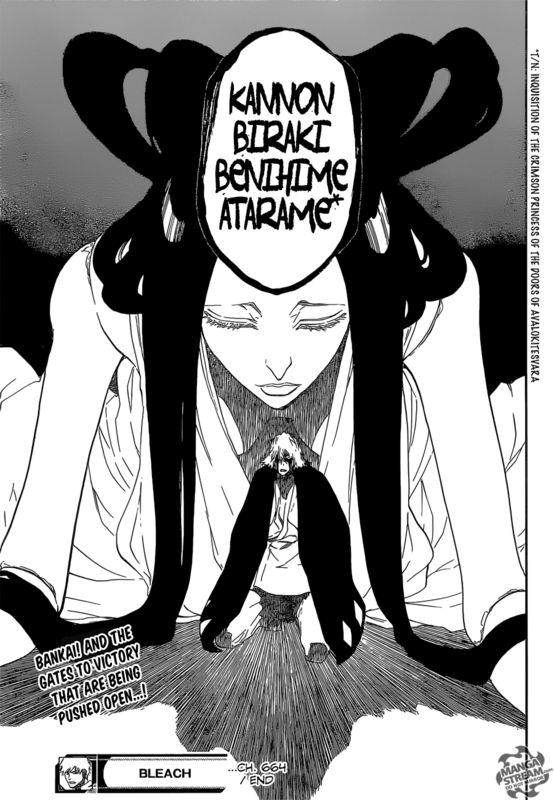 Askin says that “Gift Ring is used for opponents too strong for The Deathdealing to work on, and it puts the ability into one focal point and instantly destroys it.” Kisuke sense he’s in danger activates his Bankai: Kannon Biraki Benihime Aratame. 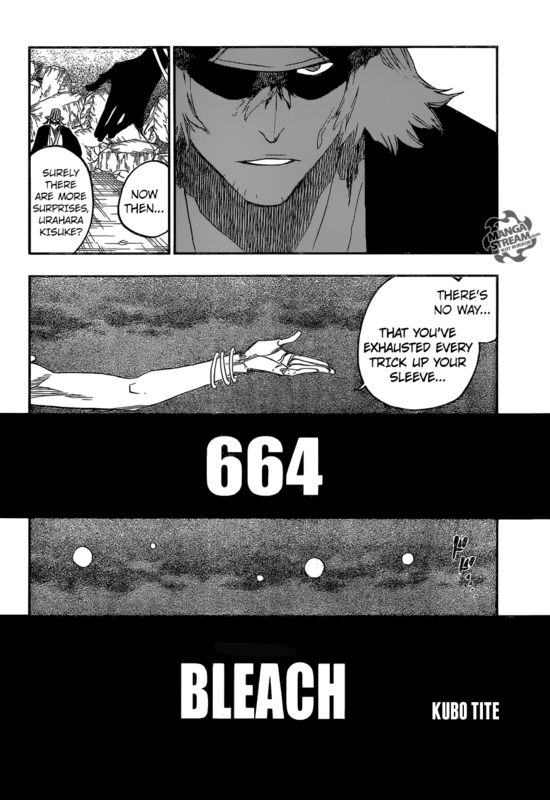 We finally are going to get to see Kisuke’s Bankai. Hopefully, It will live up to the hype. 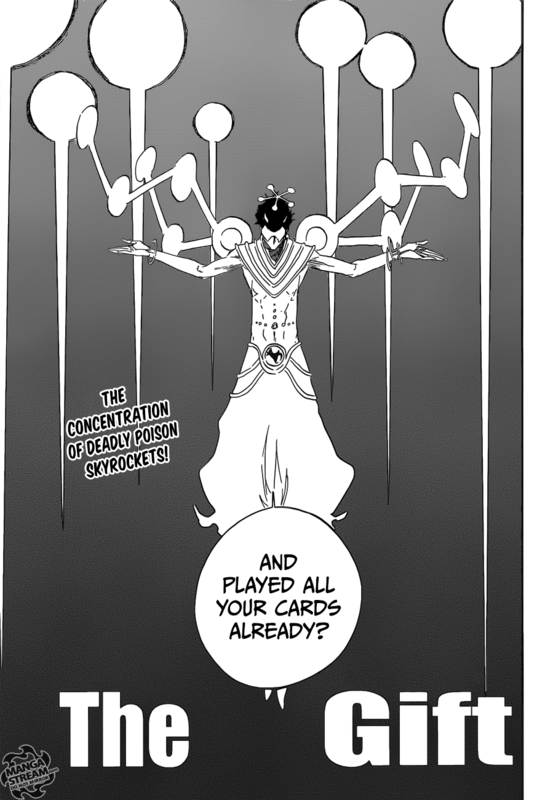 Despite my hating on Askin it is clear from this chapter that he is clearly a powerful foe. Kisuke is one of everyone’s favorite Bleach characters. I’m just hoping we won’t be disappointed.